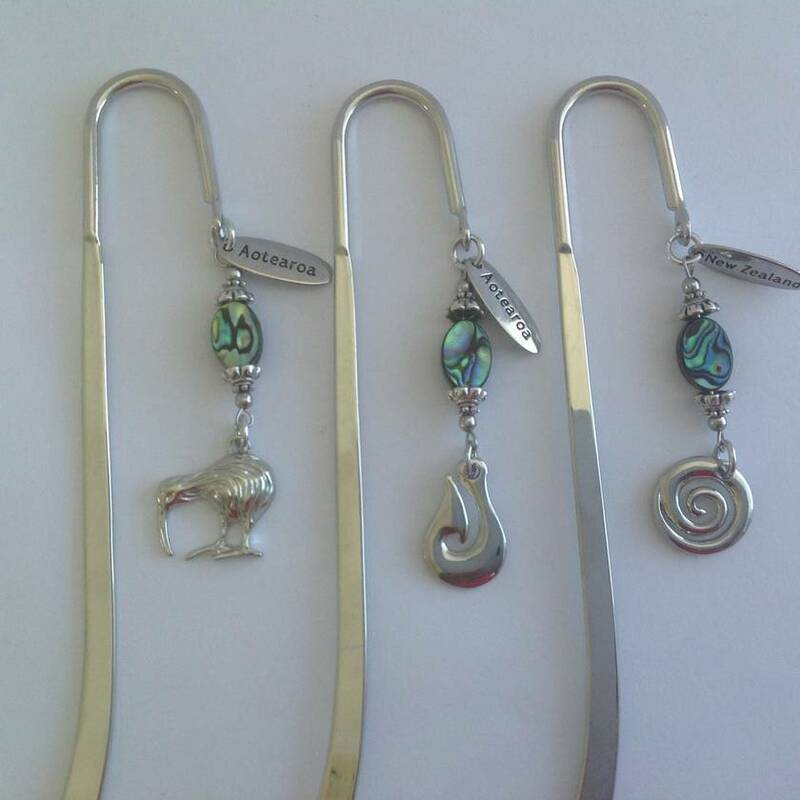 This listing is for one bookmark with your choice of a Kiwiana charm. 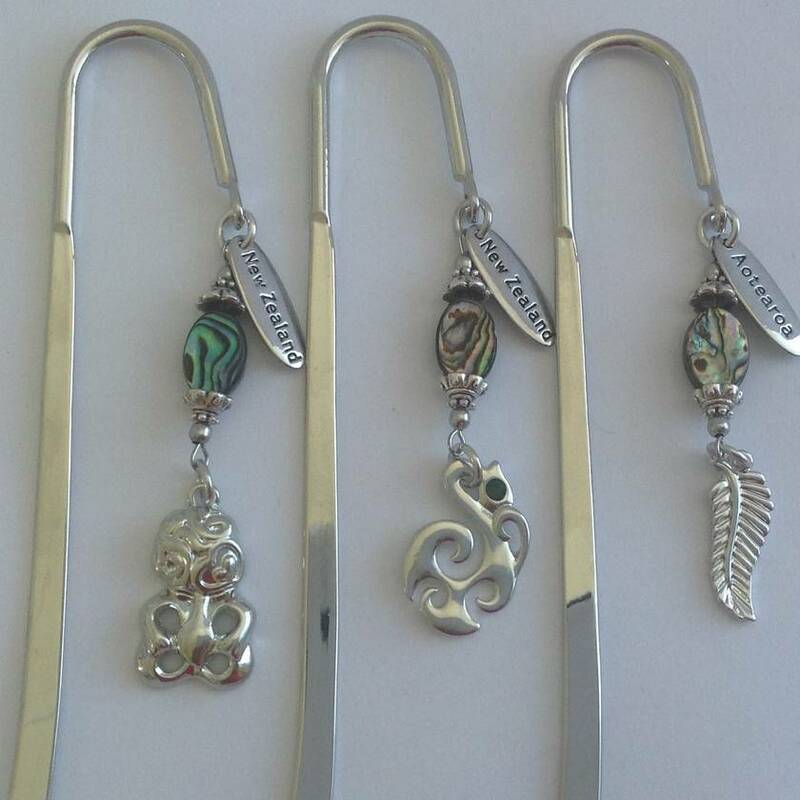 Charm choices are tiki, manaia, silver fern, kiwi bird, hei matau (fish hook) or koru. 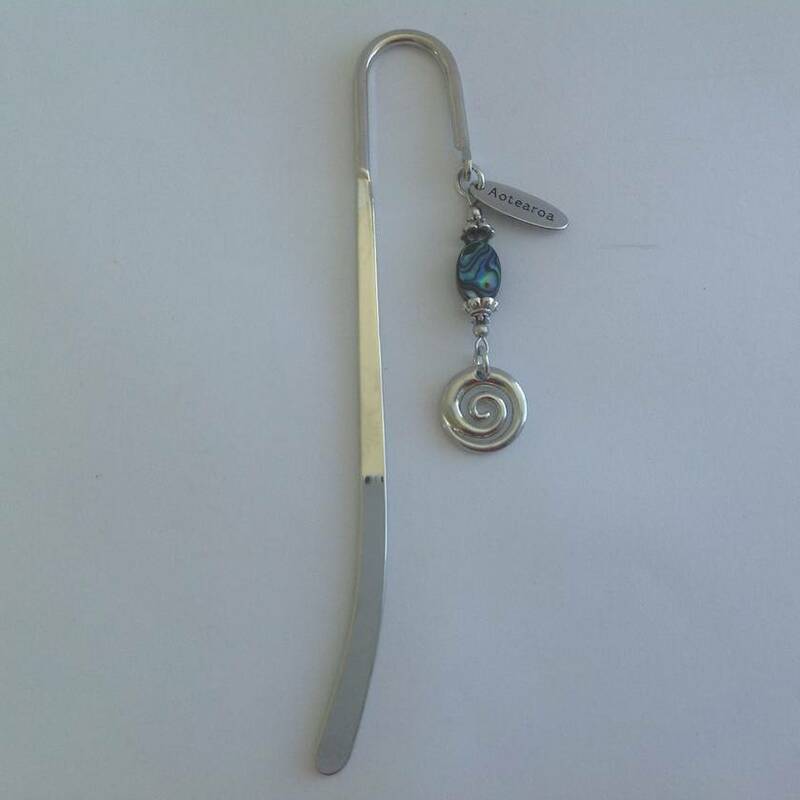 The charm hangs from a hook bookmark with a New Zealand/Aotearoa charm and paua bead. 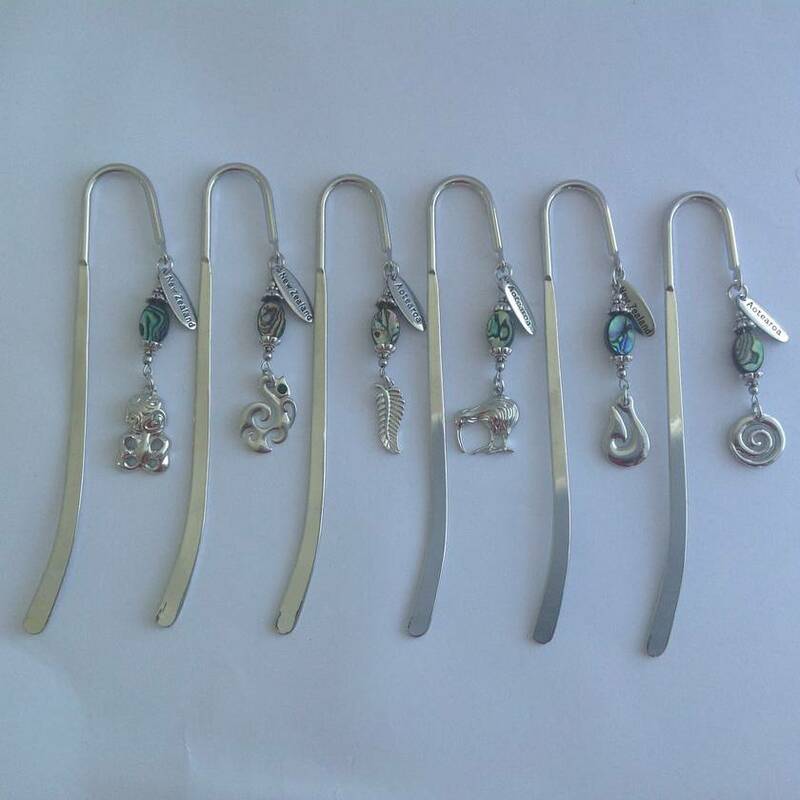 The piece measures 14cm long and 2.3cm wide and will come in a black mesh gift bag. This item will be sent by NZ post. Shipping is included in the price for New Zealand. If international shipping is required please contact me and I let you know the cost. Please let me know which charm you would like. Contact nzjewelry to enquire about payment or shipping options.